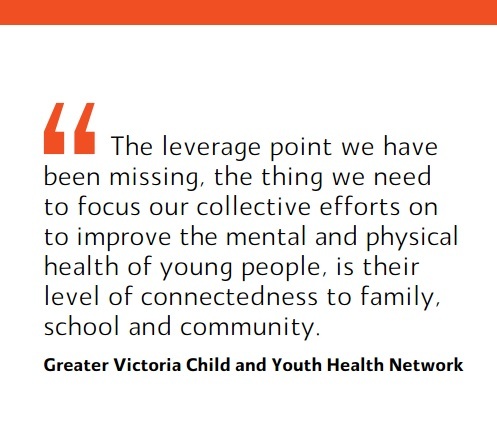 This fall, partners in the Child & Youth Health Network are exploring ‘connectedness’ as the overarching population-level outcome to improve the mental & physical health of children & youth in our community. 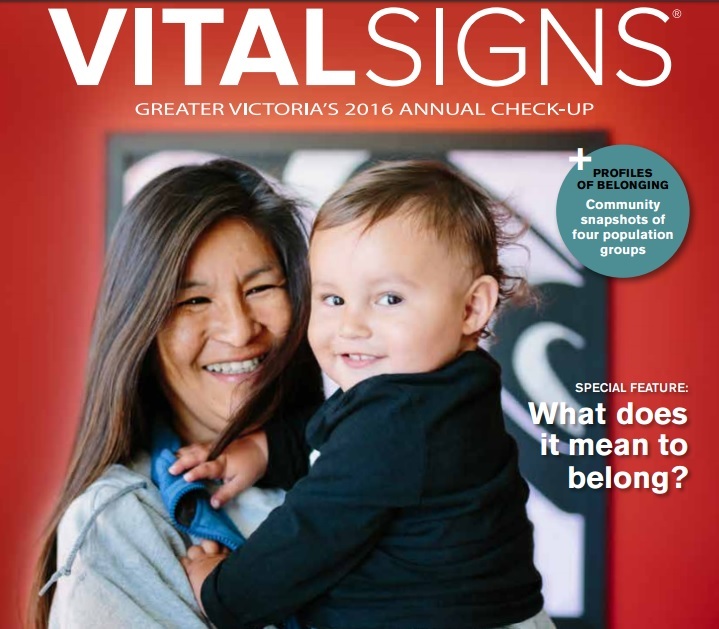 It turns out that connectedness & belonging is an emerging theme for others who are concerned about well-being, as it it is also the subject of the Community Foundations of Canada 2015 Vital Signs Report. We are healthier. Belonging to social groups and networks is as important to our health as diet and exercise. People with strong support networks tend to have a lower prevalence of mental illness and better overall physical health. Extensive support networks provide better opportunities for sustained and secure employment. Children learn better. 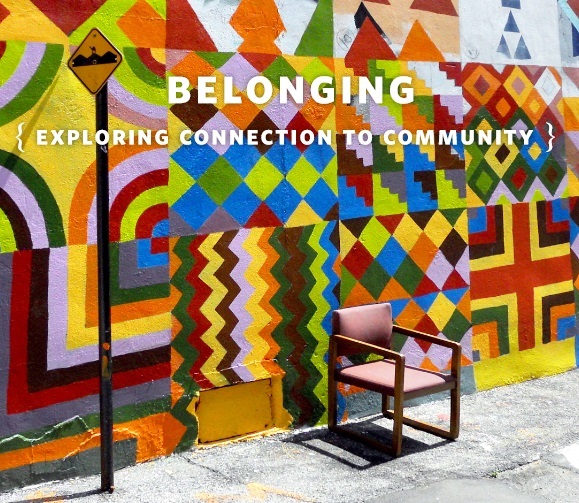 Belonging is a key element in the curriculum for early childhood education across Canada. Life has more purpose. When people have a stronger sense of belonging, they perceive life to be more meaningful.